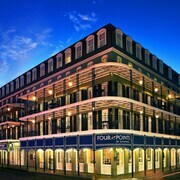 Dominating its corner of the French Quarter, this twin-tower hotel looms over Bourbon St, 2 blocks from Aquarium of the Americas, and 4 blocks from the boutiques and restaurants of Riverwalk Marketplace. 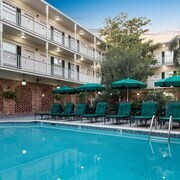 Near the center of the vibrant French Quarter in New Orleans, this hotel is 1 block from Jackson Square, 4 blocks from historic Café Du Monde, and 4 blocks from the Mississippi River. 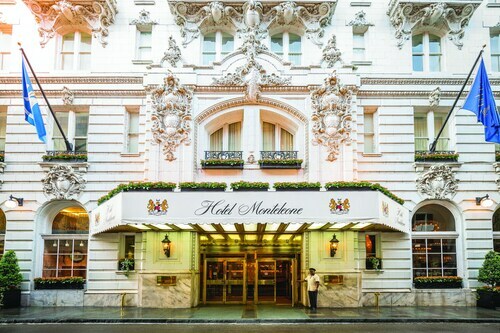 This historic New Orleans hotel is 3 blocks from Bourbon St and the Mississippi River, 4 blocks from the Aquarium of the Americas, and 6 blocks from Riverwalk Marketplace. 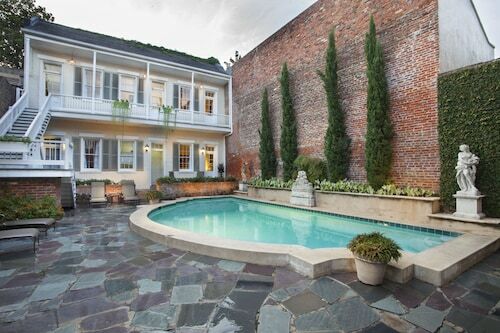 How Much is a Hotel Room in French Quarter? 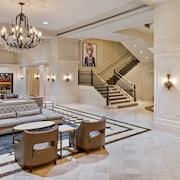 Hotels in French Quarter start at $99 per night. Prices and availability subject to change. Additional terms may apply. 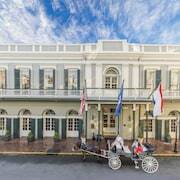 Defined by jazz music, Cajun cuisine, and a nonstop party scene, and influenced by a diverse array of cultures, there is simply no other place like New Orleans, Louisiana. 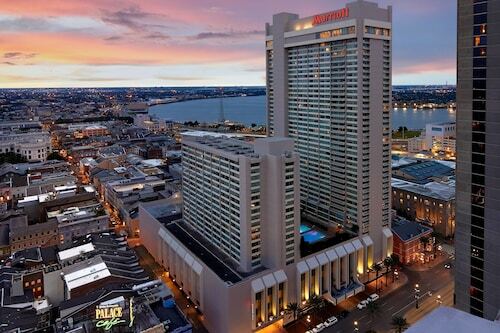 Be warned: it will be very hard for you to say goodbye to the Big Easy. 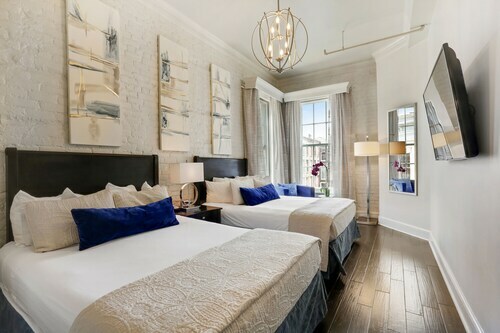 In fact, if you're staying at one of the hotels near The French Quarter, you may find yourself looking to extend your stay a day after arriving. Indeed, New Orleans is that special. Dating back to the early 1700s, the French Quarter stands as the city's oldest neighborhood as well as the cultural and social heart. That means you won't have trouble finding something to do. 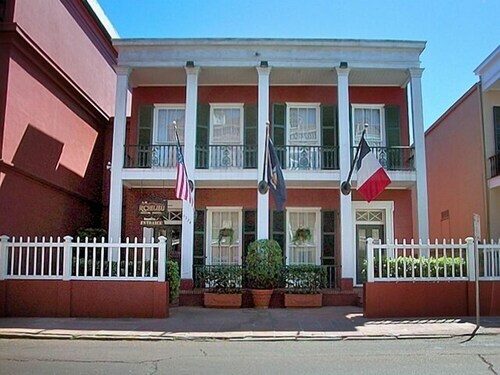 Simply walk around and enjoy the French and Spanish colonial architecture, and sample a bowl of jambalaya along the way. Enter the madness of Bourbon Street, and have some drinks at one of the pubs as you listen to live music. Or chill with a cup of coffee in Jackson Square, and chat with street performers. 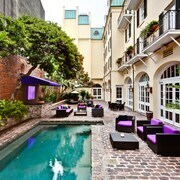 Yes, this district is magical, and even the hotels in The French Quarter will take you to another time and place. Are you worried all this fun could get expensive? That's not a problem, since you can find cheap flights to New Orleans and cheap hotels in The French Quarter any time of the year. If you've been living it up in The French Quarter and need a break, go rest in Louis Armstrong Park, a 31-acre slab of green space that celebrates one of jazz's most important musicians; it's a 0.4-mile walk away. The National World War II Museum is only 1.5 miles away via vehicle or streetcar, and it boasts informative displays about life during the Second World War; this site is certainly worth a stop for history buffs. 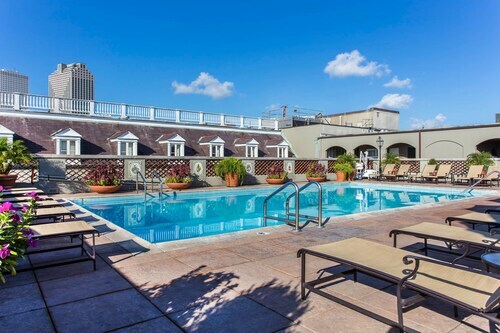 If you're ready to take it easy in the Big Easy, book one of those tempting New Orleans vacation packages on Travelocity today. Even if you have to change the dates later, know that Travelocity won't ask you to pay a fee. 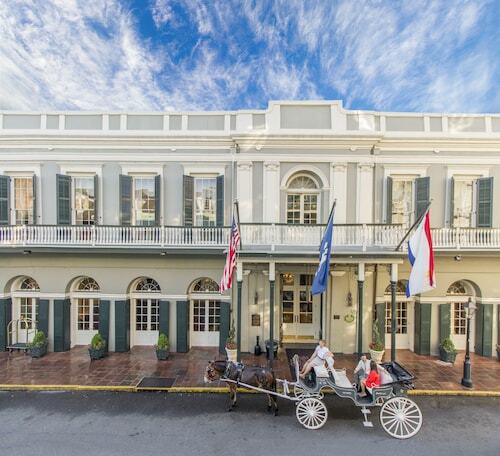 Need insider tips on must-see attractions in French Quarter? 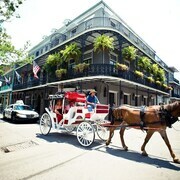 Check out our French Quarter travel guide! Loved the location, loved the pool, hard working friendly staff, comfortable room, everything we needed was there, close to good eating, not overly fancy, lovely all around experience.